The quilts from Gee’s Bend fascinate Jean. 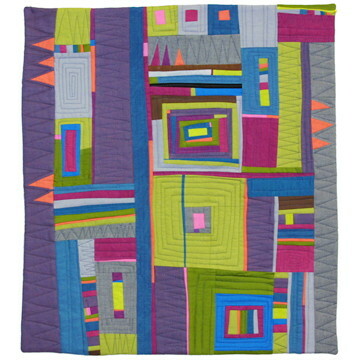 In this workshop, she will present some basic shapes that are used in quilt design. Students will play with design concepts, then choose one or more to pursue in the workshop. An example is the “house top” design where you begin with a square and keep adding borders, interrupting them at times with fabrics pieced into the strips. A medallion design is created using this technique. Piecing will be very intuitive as will color choices.